Combine sugar and oil in a small bowl. Add popping corn, stirring until it’s well coated. Place in paper lunch bag, fold top over & staple shut. Place bag on a dinner plate and microwave for about 2 1/2 minutes or until popping slows way down. Remove with oven mits. Plate and bag will be hot. Note: Be sure to put the paper bag on a plate before microwaving to keep your microwave clean. 26 Comments on "Quick & Easy Kettle Corn"
Never put staples in the microwave unless you want to ruin your microwave! It was fine in my microwave and I have a 700 watt, it takes about 2x as long to pop the entire bag of popcorn, and there was no problem with staples. I’ve popped popcorn in lunch bags in the MW without stapling the bag. You can just fold down the opening 2-3 times if you don’t want to use staples. Jenny, I’ve tried many of your recipes and have totally loved them. There is so much work to keeping up your site, writing recipes, making videos, and responding to posts. You are a blessing! While I realize not everyone sews as I do. I make my own individual coffee bags with 1/2 of a filter, ground coffee, then sew around it to close. I’ll sew sheets of wax paper to make individual servings of snacks, etc. So, I was thinking sewing closed the paper bag for anyone who is hesitant about using staples might be an option. Why not just fold the bag over. No need for metal staples. I can’t find the microwave popper online. Can you please send a link? I posted the direct link above. I’m not sure, maybe Sur La Table. Thank you for that now we eat popcorn every day! Hi Jenny, I made this recipe tonight. I’m delighted in how it turned out. I did use coconut palm sugar. Delicious, coconut palm sugar is low on the glycemic index and is not refined. A healthier alternative to regular sugar. I did find the 1/4 cup of popcorn kernels too much, a lot were left unpopped. But that is a minor adjustment. Jenny, Sita, I made it too this evening. Fast, easy, yummy. Video was good. The plate is important to keep clean up easy. May still need to wipe out the microwave tho’.. But better than having a pot to clean, imo. For fine sugar, you can place the regular sugar in a small coffee grinder (the $20 pulse kind by Krups etc.) and pulse a few times to make sugar finer. If you pulse too much, you will make powdered sugar. But at least you know how to make powdered sugar too. 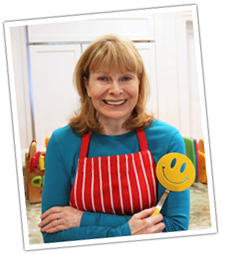 Jenny, I meant to add a big THANK YOU for your site, cooking, video and humor. The recipes and video how-tos are much appreciated. Thank you very much for these cooking tips and recipe ideas etc. Sounds good, Jenny, but — is it a problem microwaving those staples? 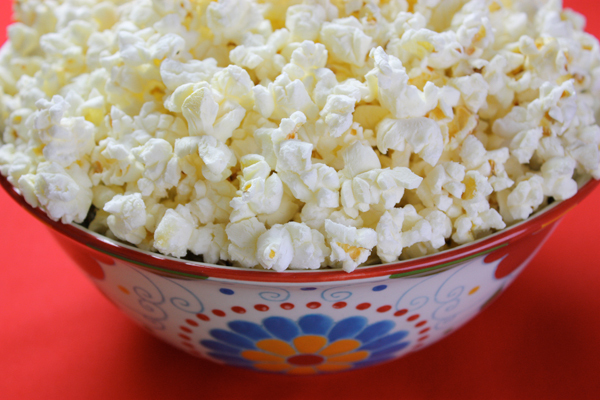 I make popcorn all the time this way – paper bag and 2 or 3 staples. 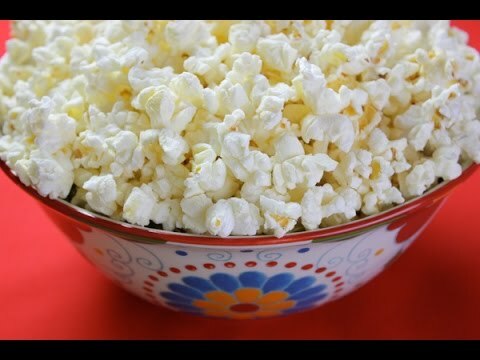 If you look at my other microwave popcorn video you can see me put it in the microwave and watch it pop in there – no problem. The staples are just small enough not to create a ‘visible’ reaction. Albeit ‘seeming’ to be ok by the lack of sparking and visible reaction, bare metals in a microwave will damage the magnetron tube and reduce it’s life.